As a social media gal by profession, I can't really unplug since my work revolves around my phone. But in the 3 years I've been doing this line of work, it was only last year that I started feeling the effects of overexposure: I have really bad migraines, sometimes my eyes act up, and other times I feel so weak that I need a day to recuperate. I know my body is trying to tell me to slow down with working, or maybe to throw my phone away because I physically can't handle it 😂 However, with the kind of work I'm in, and how fast the digital world is moving, I feel it is nearly impossible to totally unplug. Halaaaaa. So I started changing my phone habits, but I also started using this anti-radiation patch to also help me out. I've been using the Fazup PH for about a few months now and I can see the difference. FAZUP is a thin, sticker patch containing a passive antenna that regulates the emission of electromagnetic radiation from your mobile. Which basically means it modifies the radiation emitted by your phone to reduce it as much as possible! At first glance, you might question what this little patch can do, but I can vouch for them 👍🏼 Really works!!! 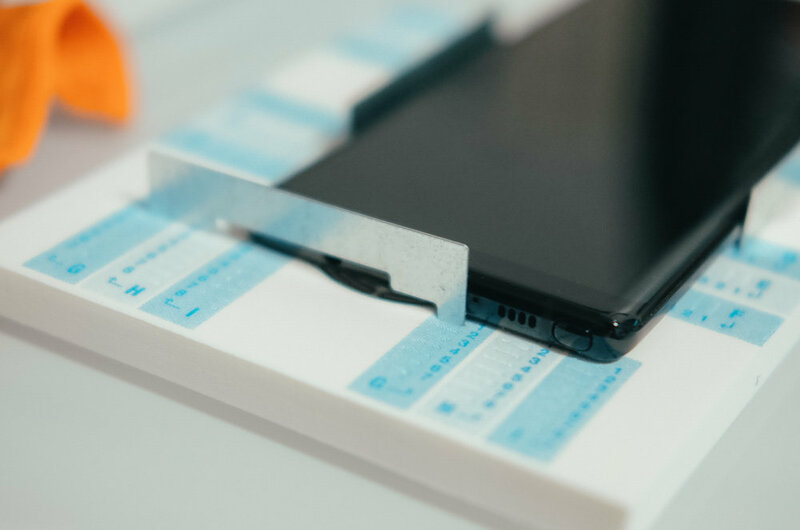 On a more technical note, the Fazup patch interacts with the integrated antenna of the mobile phone and modifies the spectrum of radiation of the mobile phone in order to reduce as much emission of radiation as possible. The thing is - when you call, or place your mobile phone towards your body, it already exposes you to it. You might think, "What can a mobile phone do to me? I mean, it's a tiny device - how much radiation (that it emits) can actually hurt me?". Well, it can cause damage. In fact, I researched a bit and it can cause insomnia, decreased bone density in the pelvis, infertility in men, and can affect brain activity. In other cases, it can also lead to cancer. If that can affect adults, well think how much of the radiation can affect children! That's why I also got this patch - so that I can decrease the chances of Yñigo being affected by this in the long run. Planning to get Bobby one also once he upgrades his phone (hehehe). An exclusive system (patent pending) positioning guide which designates specific coordinates per phone model to guarantee the optimal protection, as validated in laboratory conditions. I have a Samsung Note 8 so I didn't see my mobile unit in the guide that came with the pack. However, you may check the latest positioning guide here! Basically, there's this transparent circle on the guide. You place your patch there. Then you'll be given a set of alphanumerical coordinates to help place your positioning tools. This will determine where your patch goes to. Mine was G1-B9-D2. In doing all of this, I felt so techie hehe! I, then, placed my phone within the positioning guides. It fit perfectly (parang Cinderella moment lang)! I pushed the patch against the phone and boooooooom, it's fixed! Unlike other devices, Fazup does not redirect the radiation towards the back of your mobile and does not increase the radiation on other surfaces. For this reason, Fazup can protect without exposing other body zones to radiation, or exposing other persons in your immediate vicinity. Apart from lessening and monitoring my screen time ~ the patch has been working its magic. I rarely get moments when my eyes start to twitch, or my head throbs. Nakakatuwa kasi it may not seem a lot, but this little anti-radiation sticker is giving me the best experience with my Samsung! I regret not getting this earlier. Huhuhu! I highly recommend it to anyone who has a mobile device ~ especially those with kids or babies. We wouldn't want to expose them to radiation so early in their lives! You may visit @fazupph to order, and the Mommy Mundo Shop! I wanna thank Sheena Gonzales of @sheenalovessunsets, and her husband Mor, from bring this little miracle worker to our shores. You may get the patches per piece, but they also offer a family pack (a set of four) that you can put in your husband's, sister's, brother's, kids' or any family member's mobile device/s!